It has come to the attention of the Mole that Rob Beynon (the photographer formerly known as Bob Beynon) recently signed an email to a fellow committee member using the name ‘Bo’. Are you confused too? Make up your bloomin’ mind RobBobBo. Before there was a Gwynfa website we used to circulate a venerable publication known as ‘Gwynfa Times‘. A few oldies have survived and can be seen below. The Mole heard tell that at the Christmas Do last night one of our members told a story about having woken up, wearing only a pyjama jacket, in a public area on board a cruise ship, having been sleep walking! Apparently a helpful member of the crew handed him a clipboard which he used to preserve his modesty whilst he rushed back to his cabin. Now who could it possibly be amking an exhibition of himself? Answers on a postcard to the Mole. Not Just the Front Page….. Please be aware that not everything posted to this site will appear on the front page. Keep a regular check on the drop down menus, particularly those under ‘events and competitions’ and ‘news’… And don’t forget the Mole! 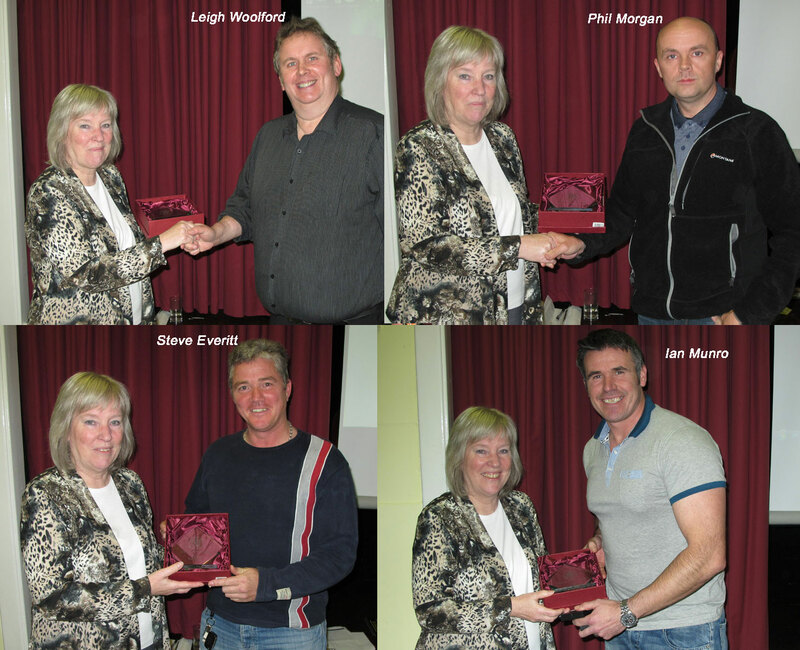 At Pixels 2012 on Saturday, Linda Baldwin presented some awards from the 2012 Welsh International Salon of Photography. Awards were made to: Phil Morgan of Inn Focus for Welsh entrant with the highest average score in the Open/General Section; Ian Munro of Inn Focus for Welsh entrant with the highest average score in the Experimental Section. (Ian also won a PSA Gold medal for the best Monochrome Image and a WPF medal for a Selector’s Choice in this section); Steve Everitt, a fairly new member of Barry Camera Club for Welsh entrant with the highest average score in the Nature Section and to Leigh Woolford of Gwynfa Camera Club for Welsh entrant with the highest average score in the Photo Travel Section.